Jokhon Porbe Na Mor Rabindra Sangeet Lyrics This Song Lyrics written By Rabindranath Thakur. The song is sung by Hemanta Mukherjee, Jayati Chakraborty, Lopamudra Mitra, Srabani Sen, Shivaji Chattopadhyay, Arundhati Holme Chowdhury And Many Others Artists. 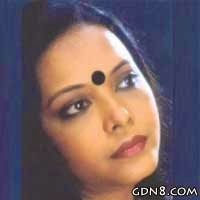 Jawkhon Porbena Mor Payer Chinho Ei Bate Rabindra Sangeet Lyrics Recently Used Shah Jahan Regency Bengali Movie And This Song Is Sung by Rupankar Bagchi.